Get organized and enjoy greater independence! No more frustration opening the wrong food can or time wasted trying to locate the CD or DVD you're looking for. And no more waiting for a sighted family member or friend to help you identify and sort out your groceries and other household items. Start living more independently with SCAN-A-CAN. SCAN-A-CAN for Windows Deluxe allows you to use the common bar codes that appear on most items to your advantage. Simply scan the item bar code and the item name will appear on the screen of your Windows-based PC. Then use your screen reading software (not included) to read the text off the screen and announce it to you. Easily identify groceries, or virtually anything with a bar code on it. If the item you scanned or entered is not in the Grocery Database of 600,000 items, the Hardware Database of 62,000 hardware-related items or the Schwans Database with many cooking instructions, you can add it to the database of your choice with just a few key strokes. Create your own bar code labels for items in your home that don't have them, and add them to a database. You can even purchase washable bar code labels (available for purchase separately), create your own bar code labels and build a clothing database with the description (color, manufacturer, etc.) of items in your wardrobe. SCAN-A-CAN For Windows is easy to install, and uses standard Windows commands. It runs in Windows 98, ME, XP, 2000, and NT. 1. You must have Windows-based screen reading software installed on your computer in order for Scan-A-Can to operate. 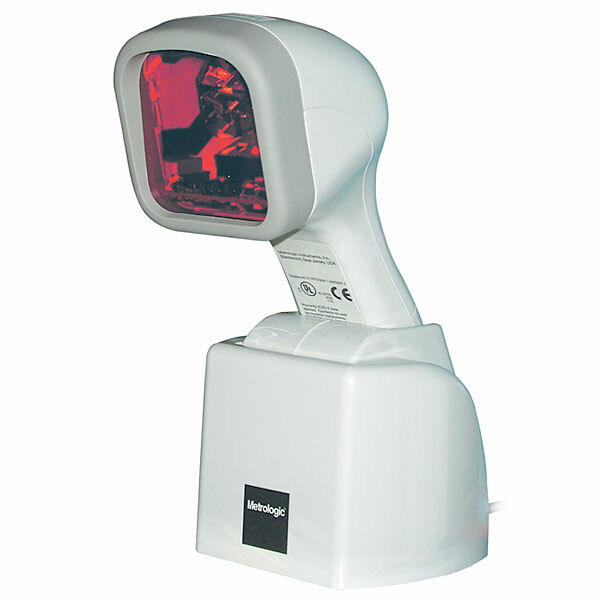 Scan-A-Can will display the name of the scanned item on your computer screen, then your screen reader will 'translate' and announce it for you. Package Includes: SCAN-A-CAN for Windows software on CD-Rom; Grocery, hardware and cooking instruction databases; Omni Directional Laser bar code scanner; a stand and bracket for wall mounting; 100 bar code labels; instruction manual in print and MP3 format on CD-Rom.